You guys - in case you haven't noticed, its been pretty quiet here since school started, but that's simply because I've been working hard behind the scenes to launch some amazing new options to help you and your family get healthy and stay healthy! However, I realized this awesome recipe was not on my blog (the horror!) - and it's been a family favorite for a while - shame on me for not getting this out there! Top avocado with pico de gallo and set aside. 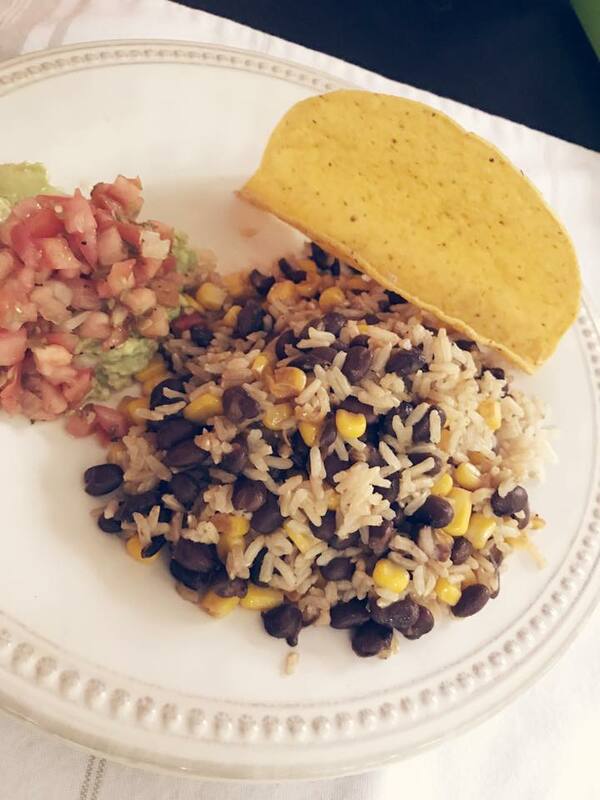 Mix Rice and Beans with corn. Stuff tortilla with mixture, and enjoy! *For the meat eaters in your family, just whip up a batch of taco meat and everyone will be happy! My kids loooove the rice and beans!